Written through the lens of history, geography, and a fear of memory, The Monument Cycles roams from meditations on DNA and remembrance, to transportation, nuclear weapons, and community, veering into societal invective. The book begins by investigating human relation to monuments and works of public art: Why do we make these representations of people, history, and place? From Emily Pauline Johnson’s memorial rock in Vancouver’s Stanley Park to the cenotaphs throughout the city, we attempt to make permanent the impermanent, to hold on to the fleeting, the intangible. While many of the poems in The Monument Cycles speak to Vancouver as a whole, several focus specifically on the city’s Downtown Eastside (“the poorest postal code in Canada”); they explore the narrator’s experiences working in this community and write toward possibility, remembrance, and the nature of truth and storytelling. “in the mecca” is a “DTES reimagining” of Gwendolyn Brooks, a narrative of community, violence, geography, pain, and the human condition. Found poems from scraps of paper, alleyway graffiti, personal tales, and SRO walls also appear inside many of the poems, speaking the community with its own tongue and letting it write itself. 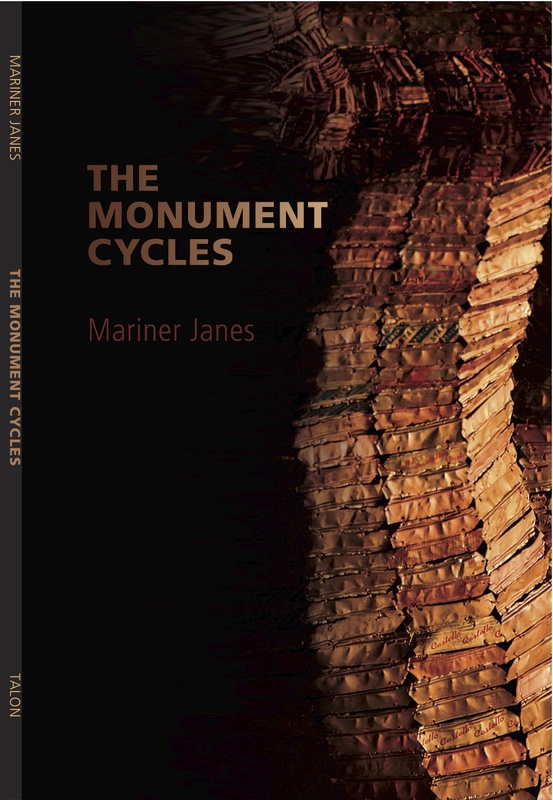 “Mariner Janes’ Monument Cycles makes its mark in a growing tradition of contemporary urban poetry notable for its polyvocality and elegiac exploration of the very human crises of late capitalism. This is a poetry both simple and smart, direct and oblique, urgent and carefully pausing over the details of everyday life though which we peer into “the burning world.” The poem is a fleeting monument to be sure – but perhaps no better, or more appropriate, monument is possible to the fragile lives Janes so carefully memorializes as he builds his “ark” of words from the “bones” he finds lying around.